On Front St. just between Yonge St and Church St in a Heritage building first constructed in 1872, CC Lounge is set to open this Friday, December 12th. 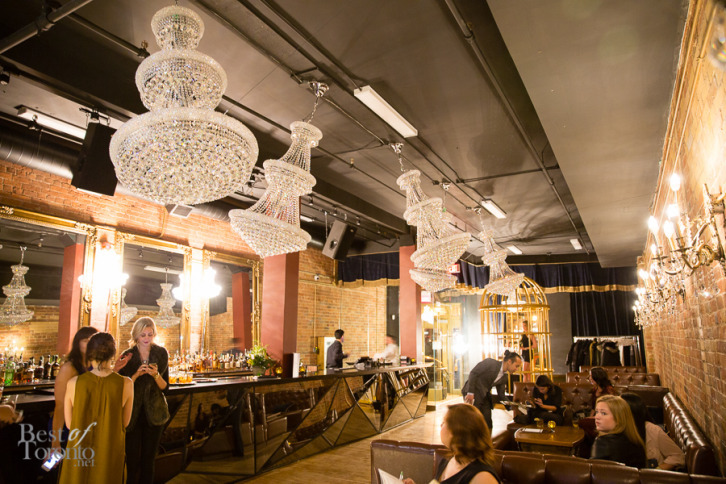 Inspired by a popular prohibition-era bar called The Cotton Club, all the details in the decor, food, cocktails and ambiance are all thoughtfully combined to offer the immersive experience of a prohibition-era cocktail bar and supper club where you can enjoy stiff cocktails and rich comfort foods. Housed in the historic Beardmore Building sitting on a site of an 1853 storehouse, CC Lounge features a front facade with original 1872 cast iron. 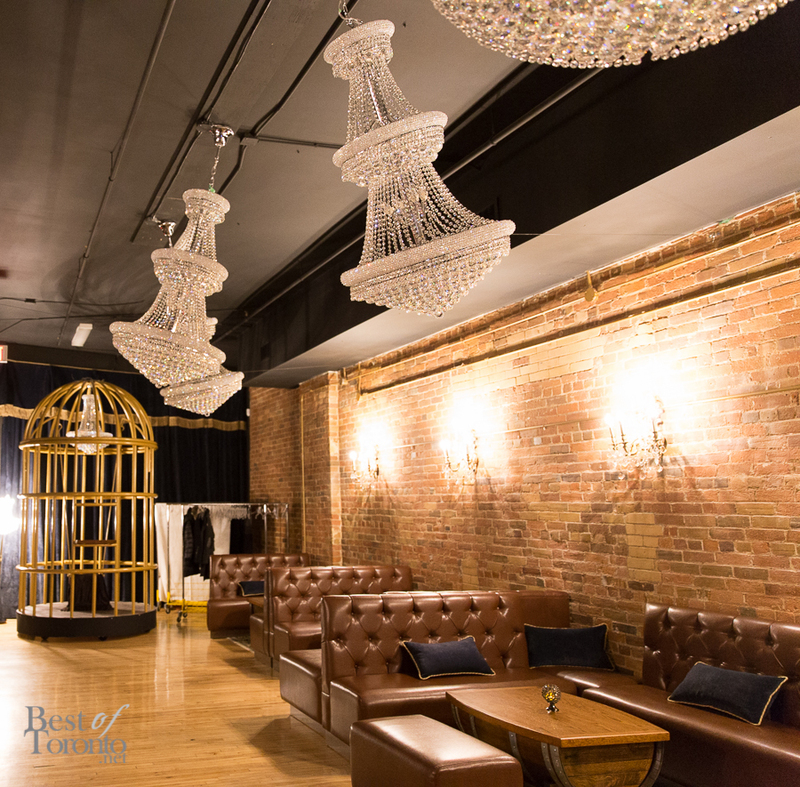 4,000 square feet of total space decked out in Swarovski crystals, velvet, gold to the backdrop of original exposed brick, beam work and gothic-inspired double arch windows. 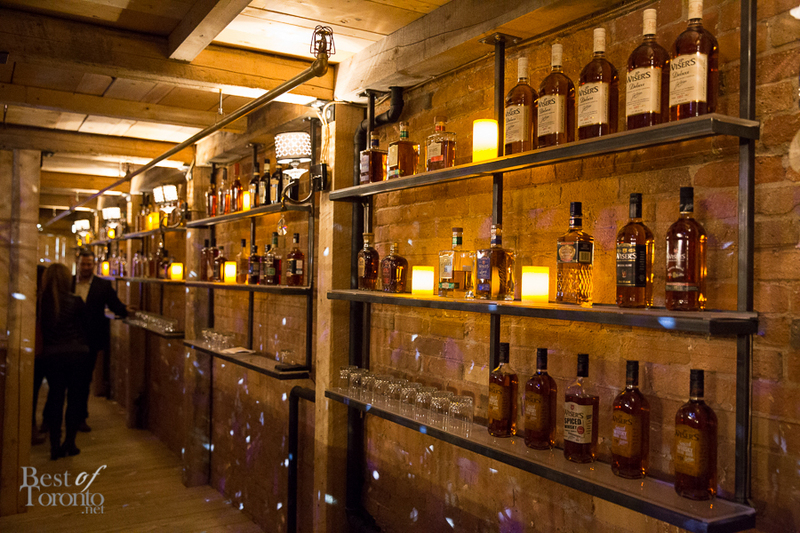 A main attraction is certainly CC Lounge’s whisky tasting tunnel ((boasting to be North America’s first) where you start with light Canadian ryes and whiskys including Canadian Club, Lot 40 and as you go further into the tunnel you may try whiskys paired with salted chocolates. The whisky tasting thoughtfully ends with Kentucky bourbon varieties that stay in the mouth with enjoyably long, rich finishes. Starting off, dinner service will be available with lunch service beginning early 2015. Comfort foods are thoughtfully refined by Executive Chef Brent Richardson (Beerbistro, La Carnita) including foie gras poutine, venison poutine, deviled eggs, fried quail and pancakes, tourtiere, roasted trout and fresh oysters. Of special interest to me is the flights of whisky paired with artisanal cheeses, chocolates, fresh breads and fruit. There is also a large wine list, beer and “white whisky” spirits and also, CC Lounge has their own original whisky cocktails include Hotsy Totsy, Kitten Cocktail. My favourite was the Whisky Sour with egg whites and a splash of red wine. CC Lounge can accommodate up to 100 guests for seated events and 300 in a cocktail reception style. Hello, group whisky tastings! CC Lounge is located at 45 Front Street East. They will be open Mondays and Tuesdays 4:00 pm – 12:00 am, Wednesdays to Fridays 4:00 pm – 2:00 am, Saturdays 5:00 pm – 2:00 am. Closed Sundays.